Are you a teenager living in NYC and excited to straighten your teeth with Invisalign? Chances are you just saw a commercial or a friend told you they are using this treatment. Straightening your teeth with Invisalign is a potential answer to your wishes of a beautiful smile. You are probably eager to ask your parents to rush you to the nearest NYC orthodontist and get started with Invisalign, but first, you should learn more by reading the information below. Here is what NYC teens need to know about Invisalign. The Invisalign clear aligners are custom made to gradually move your teeth every two weeks. You will need to use a new aligner in coordinance with your orthodontist’s instructions. Schedule your obligation Invisalign Teen consultation with Dr. Jacquie Smiles today. She Her office is conveniently located near 30 East 40th Street Park Avenue, New York, NY 10016. Or call us at call us at 212-972-3522. The clear aligners are putting slight pressure on your teeth to move them into their proper position. This often causes discomfort and sometimes pain. However, any severe pain you experience needs to be reported to your orthodontist immediately to determine the cause and future treatment. Is Invisalign expensive compared to standard metal braces? Once you approach your parents about Invisalign, their first question will be the cost. You need to be prepared to advise them the cost is similar to standard braces and most dental insurance policies cover treatment. However, your parents will need to check directly with their insurance provider to confirm the coverage amount. Can the clear aligners be removed? Your goal is to straighten your teeth so the more you wear your aligners, the better. However, you will need to remove your aligners when you eat and drink. How quickly does the Invisalign treatment work? The time frame for Invisalign treatment is determined by the orthodontist and meets the needs of each NYC patient. All patients are unique and have different issues so a professional will be the only person to determine the length of time you need to use the Invisalign treatment. What happens if a clear aligner is damaged or lost? Sometimes patients forget to remove their aligner to consume hot drinks such as tea, coffee or hot cocoa. Hot liquid can melt the aligner causing it to lose its shape and become permanently damaged. Situations like this need to be reported to the orthodontist office immediately to discuss a replacement. Please contact us or call us at 212-972-3522 if you have damaged your Invisalign clear aligners. No. You need to use the aligners in the order your orthodontist has recommended. Skipping aligners, even though it’s only a two-week difference, can cause extreme pain and interfere with treatment. Sometimes this type of interference with treatment can set you back in time and cause you to repeat a few weeks. The use of standard metal braces comes with a list of diet restrictions to prevent damage to the treatment. However, Invisalign does not have any dietary restrictions since you remove the aligner every time you eat. Checkout our guide for eating and drinking with Invisalign. Now that you know the details about Invisalign you are ready to discuss it with your parents. 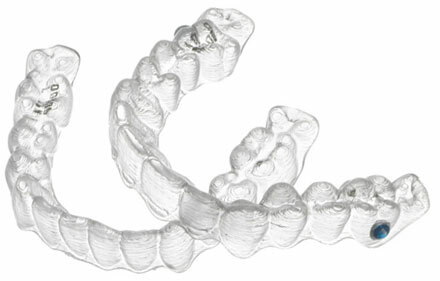 Keep in mind that an orthodontist is the only person that can confirm the Invisalign treatment is best suited for you. Are you ready to impress your friends with a straighter smile? Contact us today or call us at 212-972-3522 to begin your Invisalign journey by scheduling your consultation at our convenient Midtown NYC office located near 30 East 40th Street Park Avenue, New York, NY 10016. 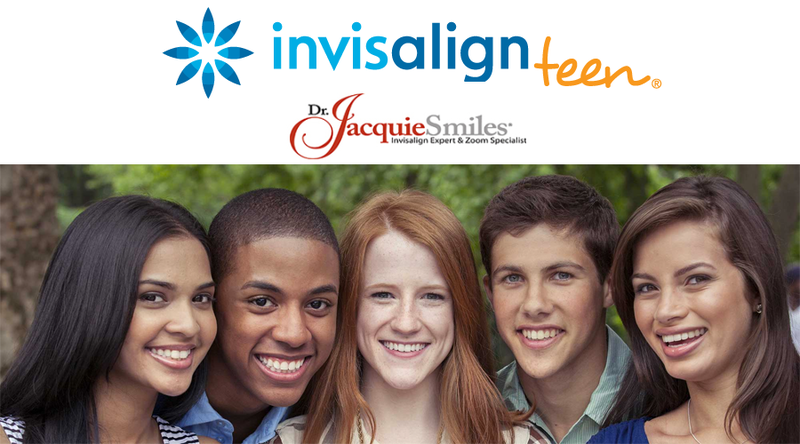 Dr. Jacquie Smiles is an Invisalign Elite Premier Provider and has been recognized as a top Invisalign provider since 2003.